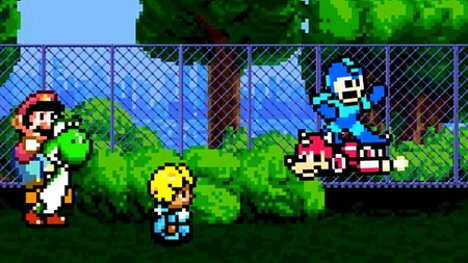 It isn’t unusual to see video game characters exploring their respective worlds with animal companions – or at least companions that aren’t of the same species as the characters themselves. They were usually helpful, sometimes a hindrance, and often provided some comic relief. But just like real-world pets, they need time to run around and play. This video from Dorkly shows what happens when video game pets all get together in the dog park (slightly NSFW due to brief adult language). From the crazily well-known characters to those that might not be familiar to anyone but hard-core gamers, this animated dog park is full of all kinds of creatures. The action is just about what you’d expect from a park full of classic video game characters – and if you’ve ever played any of the games represented here it’s guaranteed to produce a smile. See more in Digital Design or under Technology. February, 2012.